try gamma or beta, Staff walk into your room constantly try to catch people smoking I assume. Staff at front desk are just plane mean. Near junk market which is nice on the weekend but stay at nearby beta instead. For this price, everything is reasonable. Breakfast is good. Wifi is good. Room is small but it is okay. (I had a slightly larger room last time) No slippers but there is a hair dryer. There are currency exchange near-by. Staff can speak English and I think they are helpful. If I come back to this area, I will still pick this hotel. I really suggest you take our from description the gym option, because they do not have their own gym, they send you to another place, which costs 35 USD per visit after 5pm, which is not cheap. Moreover, i stayed there 16! nights and they charged me for every hour early check in 3 hours and late check out - 1 hour. Really its a joke, i would not recommend to stay in this hotel to anybody especially if you are a gym person. There is a better hotel just 7 min away - Salut, next trip i am going to stay there, much better. Nothing much to expect with the cheap price. The room does not come with air cond so expect it to be warm during the peak of summer. It was alright during June as the breeze was cooling at night. If you are Chinese, try to the Chinese restaurant on the top floor. Comfortable and warm stay. The staff was friendly and polite. Very good service & clean room. It was very pleasant to stay at this hotel. The hotel staff members provided kind and speedy service. The room was well equipped. There was also a business center. Overally, it was a good hotel. the hotel provided very good service and a clean room.i had a very good stay at this hotel. first, agoda got me a price about 40% of the rack rate and 50% of other booking sites. cheers to agoda! 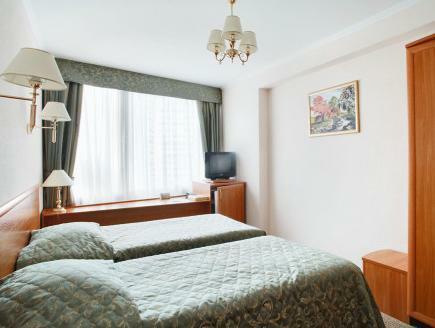 the hotel is in the south west of moscow, 2 bus stops from metro yugo-zapadnaya, or about 15 minutes walking. really, the location is either good for you or not, and if not, the hotel may still be a good choice because it is only about 20 minutes into town on the metro. the hotel is located at the intersection of leniskiy prospekt and bakinskikh kommisarov. the hotel has an american style bowling area, a fine dining restaurant, and a korean restaurant inside, and a few other restaurants in the same building but outside entrances. there is a 'produkti' (small grocery store) a few minutes from the front door and a second one across the street where you can grab a variety of drinks and snacks. the spamaster spa inside the hotel was very nice. the front desk usually has someone with english ability. i had a good connection to the wifi on the 14th floor. i would stay here again. 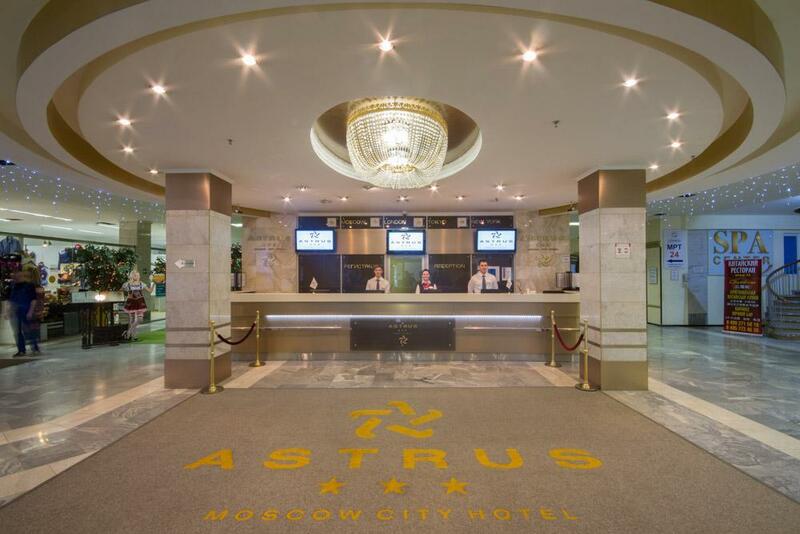 In general I liked the hotel, because it was westerns standart, clean and neat and the price very competitive for moscow. however it takes about 40 min to get to the centrum (on foot and by metro). interesting issue - they charge you for days instead of nights. it means, if you arrive after midnight,and stay for example 2 nights, you will be charged for only 1. that was a nice surprise! Séjour réussi sur tous les plans. Hôtel fort agréable et bien desservi. En 20 minutes on peut atteindre le centre de Moscou par les transports en commun. Le centre sportif est très bien équipé et facile d'accès depuis l'hôtel. Sportif de haut niveau, ce fut un régal. Le parc autour est aussi fort agréable et m'a permis de faire mon jogging.